The Performance Herts coaching staff have over 25 years of experience between them working within the health and fitness industry and are all fully accredited through the UKSCA (UK Strength and Conditioning Association) and some through the NSCA (National Strength and Conditioning Association) in addition. They have experience coaching a vast array of athletes from a multitude of sports from grass root development through to world class and Olympic level. Fiona is an S&C Coach with 14 years experience within the sports and fitness industry. After completing her BSc in Sport and Exercise science she went on to become a PT and set up her own business. Fiona joined PH in September 2009 whilst completing her MSc in Strength and Conditioning. Fiona’s work is primarily with Saracens Mavericks, England Squash, England & County Golf, Women’s FA, TASS Athletes and University Scholars, amongst others. 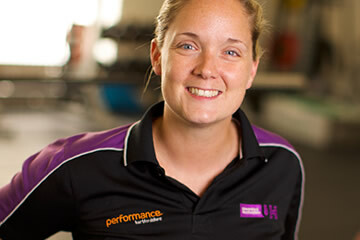 Fiona is also the S&C academic liaison which incorporates being module lead and lecturer on S&C modules at both undergraduate and postgraduate level here at the University of Hertfordshire as well as oversee the work placement programme. Fiona’s other interests include playing lacrosse (pretty well) and squash (not so well! ), travelling, watching Saracens and Arsenal, skiing, music and films. 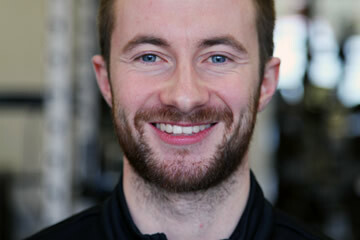 Jack is an S&C Coach who joined the sports and fitness industry in 2012 following attainment of his Level 3 PT accreditation and set up his own business supporting clients in attaining their athletic and health goals. Jack moved further into the physical performance sector in 2015 when he joined the PH team whilst studying for his BSc in Sport and Exercise Science. Last year Jack worked at the Championship Rugby Club Ealing Trailfinders alongside starting his Masters Degree in S&C at St Mary’s University. Jack is now working at Performance Herts alongside his role with Richmond Rugby Club (Championship team). Jacks other interests include playing and watching rugby, powerlifting (235/140/260), shooting and reading a good book. Charlie is an S&C Coach who started his career at Performance Herts in 2014, undertaking a full-time internship. 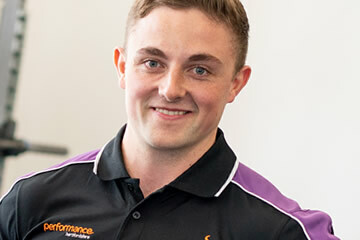 While studying for his BSc in Sport and Exercise Science, Charlie ascertained his UKSCA accreditation and has subsequently gone on to work with athletes in over 40 different sports. Prior to re-joining the Performance Herts team, Charlie was the Head Strength and Conditioning Coach at Coventry University, supporting sports scholars and teams. In addition to this, Charlie was the Head Strength and Conditioning Coach to both Coventry Blaze (a professional Ice Hockey Team competing in the Elite Ice Hockey League) and Coventry Bears (a semi-professional Rugby League team competing in League One). Outside of S&C, Charlie enjoys playing tennis (relatively well), training in the gym (some would say not so well!) and listening to a wide array of music.